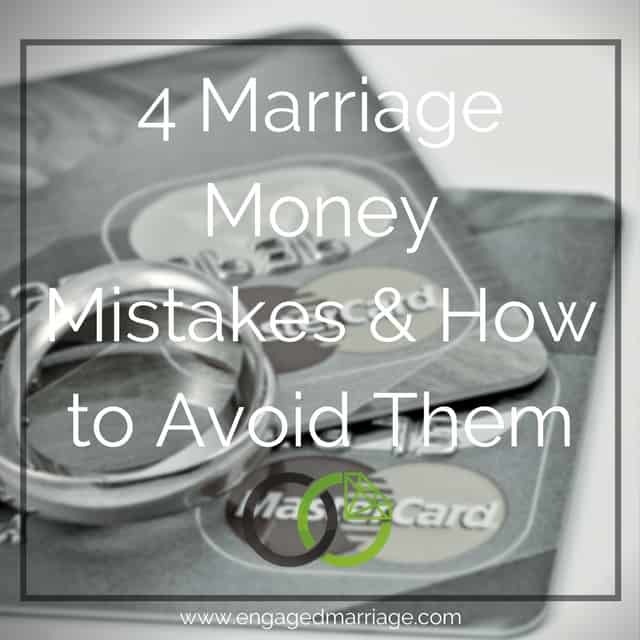 Money problems are one of the top reasons that marriages end in divorce, yet unfortunately, most engaged and newly married couples fail to prepare themselves. Although you’ve likely had a lot of serious talks about life including if you want to have children, where you want to live, what kind of career you want to have, chances are you skimmed through the money talk. Though you both may be juggling your finances separately, now that you’re joining together as one, being on the same page is critical. Below, are some of the common mistakes newlyweds make that end up costing them big later. Once you’re married, your money and finances are a joint effort. As such, you must know how your partner deals with their finances, and more importantly, how much financial baggage they’re carrying with them. Waiting to disclose this information can lead to serious arguments about money in the future. Knowing if your partner is a saver or a spender, whether they pay bills timely or whether they procrastinate, and having a general idea of how much debt they’re carrying around can help you both to make a plan that will secure your financial future. The prospect of buying a new house can be exciting. You’re ready to start your new lives together and want the perfect place to build from. Be that as it may, it is imperative to consider all expenses before purchasing a house. Newlyweds fail to analyze the true cost of homeownership and essentially buy more of a home than they can afford. However, buying more home than you can afford is a surefire way to end up in debt or having your home foreclosed on. Though getting a home is ideal for a married couple, it should be done with careful consideration. Review your options with a mortgage company to find the best loan rates and mortgage programs for first time home buyers. Then analyze your finances to ensure that you can afford the cost of owning a home. If you’re unable to afford the big family home you’ve been eyeing, consider a condo or starter home and then relocate once you have the money to do so. You never know what could come up that requires a large amount of cash to fix. Newlyweds make the mistake of forgetting the plan for a rainy day. An issue with the house, the loss of a job, a need to pay for something for the kids, anything could occur, and unfortunately, they aren’t prepared. This forces them to have to go deeper into debt by taking out a loan. While you appreciate the sunshine, there will be rainy days that you need to prepare for. You never know when you’re going to need to repair or buy a new car, get the furnace replaced, or even worse, you may have to deal with you or your spouse losing a job. Savings should be a staple in your financial plan. Putting aside at least 3-6 months’ worth of income can help to cover the costs of unexpected expenses. When you’re single, living on a budget may be less of a priority. You don’t have any other responsibilities outside of yourself and your own bills. Many couples keep the same mentality that they’ll handle their own finances and make the mistake of not creating a budget. However, managing money separately can lead to miscommunication and misuse of household funds. Creating a budget and sticking to it is not as hard as you think. You must be open and honest with one another about your debts, monthly bills, and your income. Then execute a financial plan that will cover all household bills. Budgeting can help you to make informed decisions for the household and it most certainly keeps you out of debt. Part of getting married is all about trial and error. It’s about finding your own way to make your union work. 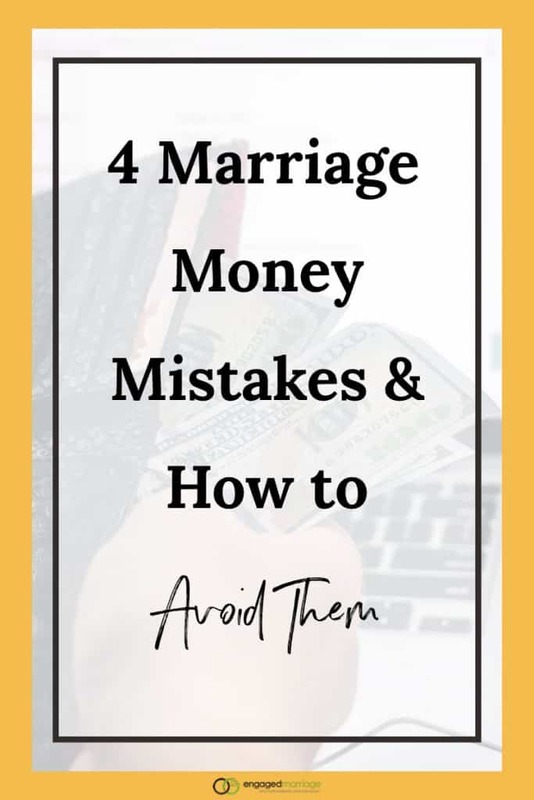 Be that as it may, when it comes to money matters, trial and error could be the very thing to tear your marriage apart. Avoid these mistakes at all costs by openly talking to your spouse and creating a budget that will allow you to live out the life you’ve always dreamed of. I totally agree that money needs to be discussed by couples so they can both agree on their finances.